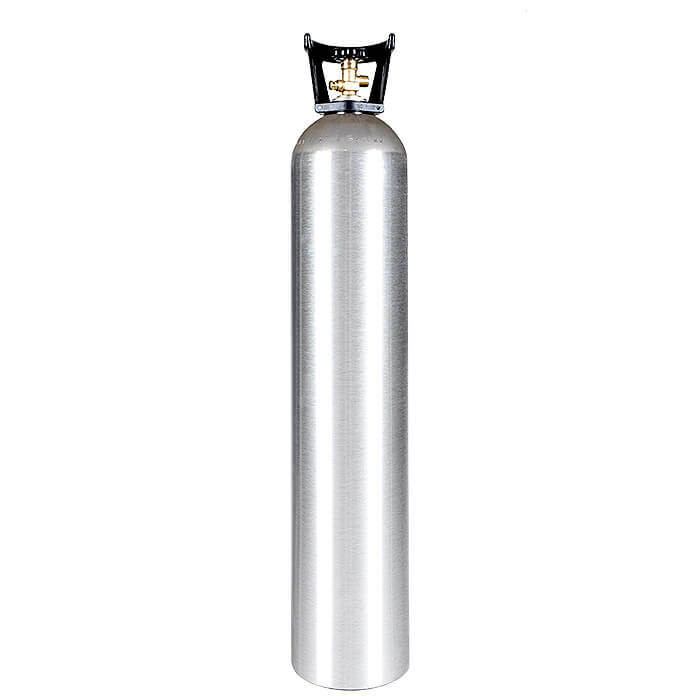 Our new aluminum 35 lb CO2 cylinder with handle is a great cylinder for any application where more carbon dioxide capacity is a must. Second only to our fifty pound CO2 tank in overall gas holding, this cylinder steps up the time between recharges and minimizes cylinder change downtime. There’s quality in every feature: a thick aluminum body formed to precise tolerances for performance and durability, the light weight you only get from aluminum, outstanding corrosion resistance, and an attractive brushed aluminum exterior. A high-quality CGA320 valve is also professionally installed in every CO2 tank prior to shipment along with a handle for easy transport and safety.